Krimson, the Ethiopia-based aviation services company has attained one of the first new business aviation licenses being issued by the Ethiopian Civil Aviation Authority (ECAA). The new permits have been created to establish a transparent regulatory framework to support fair processing of flight permits and ground handling services by operators or agents. “We are extremely pleased to have attained this license,” said Krimson MD and founder Dawit Lemma. Only a limited number of licenses have been made available to ensure that the holders consistently deliver the certified standards which are comparable to accepted ICAO service levels. “After four years of operations it demonstrates that we have the necessary competencies, internal knowledge, and professionalism to enable civil aviation in Ethiopia. The criteria are very strict, and we were able to fulfil all the requirements to satisfy them. Holding the license will give our growing international customer-base continued confidence that they are working with an African company that has adapted or adopted international standards,” added Lemma. Ethiopia is emerging as an African Aviation hub of note, overtaking Dubai as a gateway to the continent - largely buoyed by reforms being put in by its new Prime Minister and visa reforms. ForwardKeys data for the period between 2013 and 2018 highlights that Addis Ababa has grown its volume of international transfer passengers to Sub-Saharan Africa, five years in a row. Addis Ababa's Bole International Airport, which is currently being upgraded with a new terminal at the cost of $345m (about R473m @ R13.93/$), has since overtaken Dubai as the leading gateway to the region, based on this measure. Olivier Ponti, Vice-President, ForwardKeys Insights who also spoke at the World Travel and Tourism Council’s Africa Leaders Forum in Stellenbosch last week, states international bookings for Ethiopia, for the period from this November to January next year, are ahead by more than 40% on the same period in 2017 – well ahead of all other destinations in Sub-Saharan Africa, including South Africa. ForwardKeys data shows that relaxed visa opportunities, as put in place by Ethiopian Prime Minister Abiy Ahmed have strongly contributed to this growth. 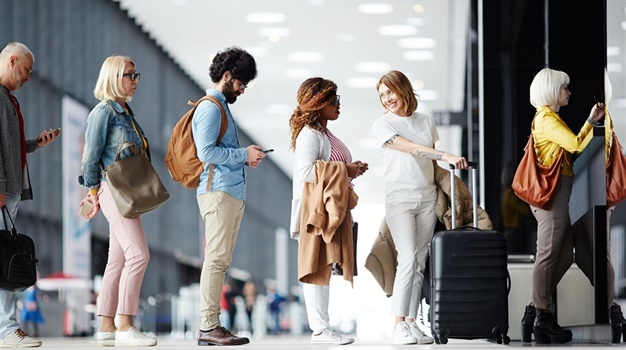 Ponti says relaxed visas remain major opportunities for African destinations - to the extent that South Africa is still smarting from its rigorous visa issues, including the requirements for traveling with minors. 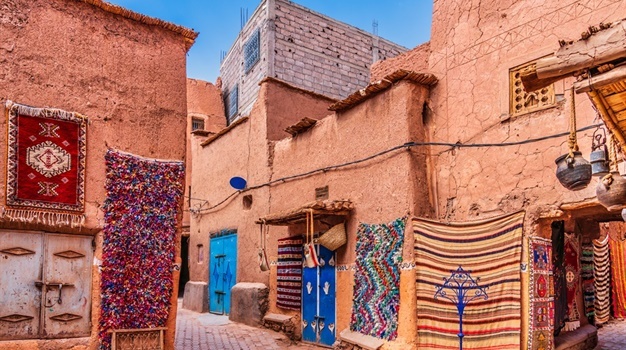 According to ForwardKeys data, liberalised visa policies had a transformative effect on Chinese tourism (the strongest in the world by numbers of people and by expenditure), especially to Morocco which grew by as much as 440%. The data also shows that strong national carriers can considerably impact airlift, as has been the case with Ethiopian Airlines. As the largest Aviation Group in Africa, it has been on an aggressive capacity expansion as part of its 2025 vision - having just been named the 2018 Best Airline in Africa Award for the 7th year in a row by the African Airlines Association (AFRAA). In recent capacity expansions and updates, Ethiopian will be connecting 59 cities with Moscow, with their 787 Dreamliner. Flying via Istanbul Atatürk Airport, the new route from Addis Ababa will start on 5 December 2018 with three flights a week, with an hour-long stop-over in Istanbul. It has also changed the ultra-long-haul route from Addis Ababa to Los Angeles to transit through Lome, Togo as of 17 December 2018 and will start new route from Addis Ababa to Dublin via Madrid as of 15 December 2018. The gaps in the market being left by South African Airways and its move to cut costs and achieve profitability are being exploited to this extend, but with negative impact for travel to South Africa. Echoing this sentiment Chris Zweigenthal Chief Executive, head of the Airlines Association of Southern Africa says, "OR Tambo is being impacted in a number of ways as a hub, not only by the challenges facing South African Airways." “It is not only about SAA. South Africa has a history of visa issues compounding its problem. This has seen the likes of Turkish Airlines and Emirates adding point to point capacity to Luanda, Lusaka and Harare for example. Qatar is also now going via Maputo," states Zweigenthal.